So you've probably heard your teachers, peers, co-workers, bosses, and other people, talk about this thing called "ergonomics", and how important it is. 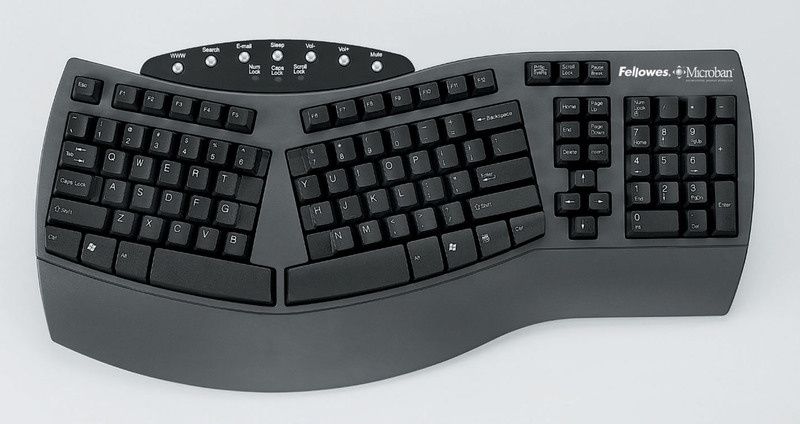 Well, what kind of sorcery and witchcraft is this mysterious "ergonomics" and why is it so important? Ergonomics, thanks to the Wonderful Wikitionary®, is the science of the design of equipment, especially so as to reduce operator fatigue, discomfort and injury. Basically it refers to not just how stuff like your office chair which likely cost a kidney and that 100 dollar optical mouse you are using is designed, but also to how the monitor is positioned, or how you sit, or typing skills, among a reallybigillion other things. So, how about a proper workstation? What on this almightily large planet does one of those look like? This is a terrible diagram as there is no description of anything, but these are all the factors that matter in a workstation. Yes, even the angle at which your wrists is positioned matters. But keep in mind, all this is the difference between a healthy employee and one that suffers from carpal tunnel, stressed joints, and eye strain. None of these are any good for anyone. Correct posture prevents stress injuries and stiffness in the back, wrists, and fingers. Oh, and carpal tunnel. Slouching is bad (terrible, in fact) ergonomics and should be discouraged. Your body should all be facing forward. You should be sitting perpendicular to the floor. Any chair that is worth buying must prevent injuries to the back and shoulder area, as well as the forearms if armrests are in use. Proper input devices and positioning prevents strain on the shoulder/forearm from having to reach great distances/improper positioning of equipment. Not 60hz or something ridiculous like that, some people (like me) have eyes that are sensitive enough to see the flickering at such a low refresh rate, and it's like looking into a strobe light. And even at that it causes serious eye strain even if your eyes cannot see it. There are a whole bunch more important things, but these are the basics that are outlined in the graphic I picked. I am not about to go back and find a better one for this purpose, but next time, remind me to pick a much better graphic than that, this is terrible. 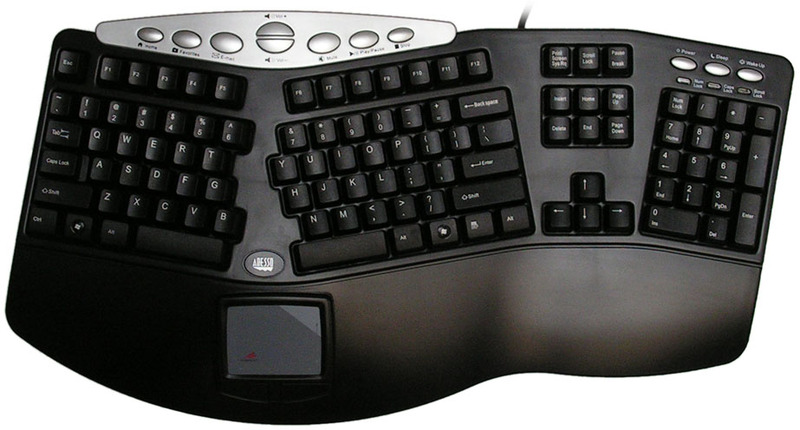 Notice I avioded putting photos of the Microsoft "natural" ergonomic keyboard. In practice I have found that they have no longevity, and unless you are desperate are better off avoided. I mean, I have keyboards from the 80's and early 90's that still work perfectly, while an ergonomic keyboard I have from 2004 registers random characters at random times, but rarely registers the correct character. That is just insane. So there's that, that's pretty much all there is to know about ergonomics. Remember, you can always do further research should you see fit, but I am sure I covered all the basic and rudimentary points here.